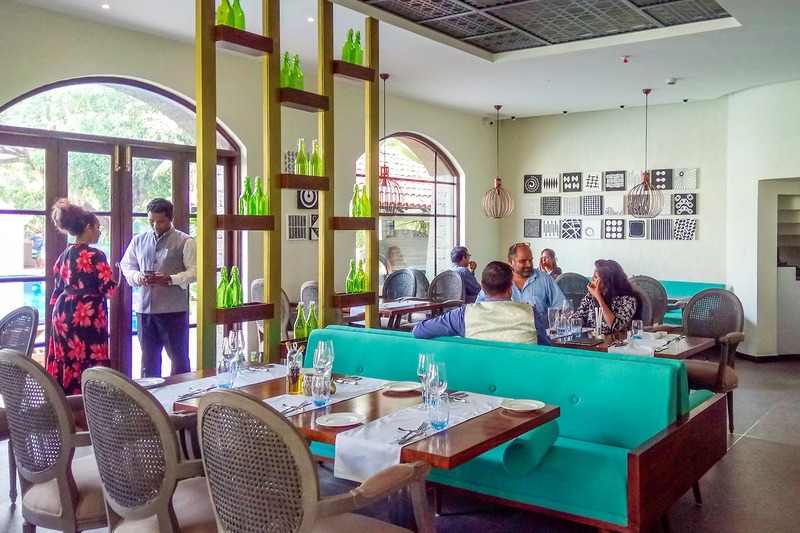 Chef Ritu Dalmia’s iconic eatery DIVA sashays down the Goan catwalk with its minimalistic décor, impeccable service and Italian food that will make you say fantastico. Located in the heart of Calangute, a drive through the chaos will get you to this oasis of calm that is the Andores Resort in which this DIVA resides. And did we mention that apart from an air conditioned indoor space, they also an overhead open air terrace, both of which overlook the beautiful pool. Enter the cool confines and you cannot miss the pop art inspired by pasta that adorns the walls of this cozy restaurant. A minimalist bar overlooks the restaurant and comfortable seating is what awaits you when you go here. Since Chef Ritu Dalmia will now regularly visit the restaurant, if you are lucky enough, you might just get to meet her. Other than the food, one of the highlights of any of her restaurants has been their enviable list of wines, and the tradition continues here too. After all, what is Italian food without great wine, right? We started off with a Prawn Salad that came with citrus fruit and fennel shavings, making it a perfect start to a hot summer day. Then came the Gnocchi which was stuffed with mozzarella cheese and was absolutely delightful. The pasta varieties were all made with in-house sauces and different combinations of meat and veggies. We even managed to try out their thin crust, perfectly baked pizzas- from the classic Margherita to the Sabne (which came with spicy red salami, red onions & red peppers), we couldn’t resist even one. But for us the Verde, with a pesto base instead of the standard red sauce (along with mozzarella, pine nuts, onions & rocket leaves) left us floored. After all this, we still managed to have some space for the Potato Roulade and Chicken in Lime & Peppercorn sauce. Needless to say, we polished all that off with their Chocolate Torta & a Tiramisu. If you are looking for a great ambience, service & food, then the trifecta is entirely available here and we are loving it. And this one will be open through the year on all days for lunch and dinner, so go ahead and make that reservation already.